A reader from Huddersfield, who asked not to be named, was recently long listed in an international competition, but she wasn’t sure if it was something she should celebrate. 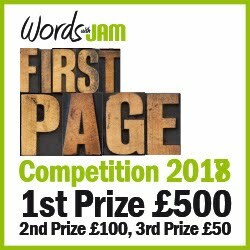 She writes: when I saw my name on a long list for a flash fiction competition, I was really excited, but one of my writing friends said that was probably just the list of all those who’d entered. Is that the way competitions work? Obviously, I cannot answer for every competition around the world, but it is generally accepted that a long list is made up of the best of the entries after the first (and sometimes second) round of judging. 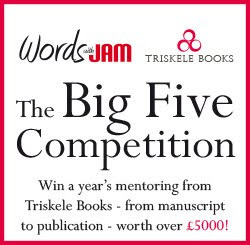 As I know which competition you entered and were long listed for, I can categorically state that the long list was decided by a team of readers who waded through hundreds and hundreds of entries before picking a long list of stories to put forward for the next stage of judging. I think, possibly, your writing friend might be suffering a little from the green-eyed monster. Celebrate your appearance on the long list – it is hard to get through the initial stages of judging in any competition. To do so in one where the entry count is so high is an achievement indeed. The following question has been sent in by so many different writers in varying forms that I’ve decided to answer without attributing it to anyone in particular. Is an online presence really necessary for writers? I can understand anyone who self-publishes would need to be active online, but I want to go down the traditional publishing route. Surely my job is to write and it’s up to the publishers to do the marketing and promotional work? If only life were that simple! To assume that traditionally published authors do nothing to help market their books is a little naïve, I’m sorry to say. Many agents specify a strong online platform before they will even open your file – in other words, a great book with fabulous characters won’t make the cut unless the author already has an online following. Ridiculous, I know, but it is increasingly the way of the world. Fortunately, not all agents work like that. However, even if you sign up with the agent of your dreams, when he or she submits your manuscript to a publishing house and the editor falls in love with it, the marketing department will expect you to do everything possible to assist with sales – and that doesn’t just mean turning up looking earnest and intelligent for book signings! Why should you have to do their job for them? Because if you don’t, your book probably won’t sell. Publishing houses have hundreds, probably thousands, of books to promote. They will devote time and resources to the ones that produce the best return on money spent. It’s simple economics. And this is where having an online presence is essential. The bigger the online platform, the greater the author’s potential audience, the higher sales are likely to be. The more marketing you do to increase sales, the more your publisher’s marketing department is likely to do for you. The fourth in the series, Looking for a Reason, is due for release by Crooked Cat Publishing on 28th October.